Advances in engineering practices and technology have created many new opportunities in the manufacturing sector for companies, but at the expense of more complex risks. Product recall, liability, workers’ safety, and many other risks are on the rise and authorities are introducing new policies and regulations that present further challenges. With so much going on, it is essential to work towards maximizing your insurance coverage and minimizing your risk exposures upfront. With our SIA Property & Casualty Insurance System, we take a proactive approach to insurance. It starts with a complete risk management analysis to fully identify the risks facing your manufacturing business. We understand that companies in the manufacturing sector face many complex risk management and mitigation challenges. Employers often struggle with workers’ compensation and safety, considering the continually increasing demand for higher productivity. In some cases, aging workforce is also a driving factor of this risk exposure. SIA Insurance Group can help manufacturers deal with a variety of issues in safety and offer the expertise to best mitigate your risk. Risk exposures continue for manufacturing clients when their products are sent to market. Our team diligently assesses product liability exposures, and provides thorough underwriting services to ensure your product liability is identified and properly covered. We believe that no two manufacturers have the same set of requirements. That is why we work hard to design a custom, and cost-effective insurance program. 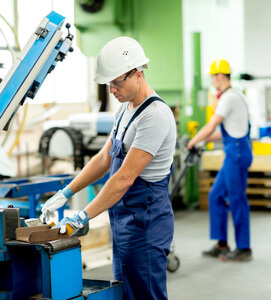 If you are seeking a proactive approach to insurance that is cost-effective for your manufacturing business, please call us today at (630) 325-4000 to set up a time to complete your risk management analysis.